Couples and families will enjoy Dollywood&apos;s DreamMore Resort™ in Pigeon Forge. This new property has 300 rooms near Dollywood and Dollywood&apos;s Splash Country. The resort offers package deals that include spa treatments, credit to use at resort restaurants and shops, romance packages, theme park tickets and in-room treats like milk and cookies. This secluded community of cabins is just eight minutes from Gatlinburg and 15 minutes from Dollywood. This resort regularly receives five-star reviews on TripAdvisor, and with its stunning views and serene atmosphere, it&apos;s no wonder. 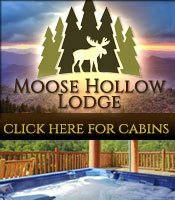 Cabin rentals include everything you need to have effortless fun on your break, including theater rooms, grills, rocking chairs, Jacuzzis and more. Elk Springs Resort offers package vacation deals that include your sixth night free, and 25% off in colder months. There are also deals for military, firefighters, law enforcement, nurses, doctors and teachers, so be sure to check out their specials when you book. 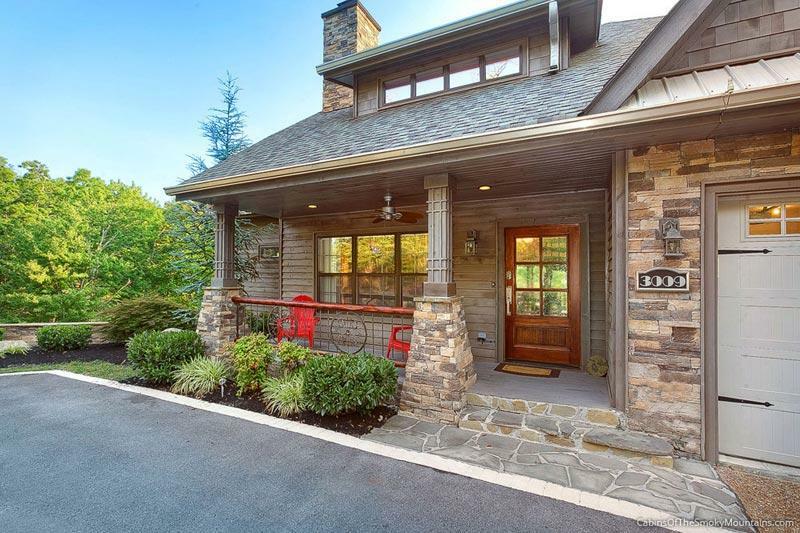 You&apos;ll find package deals at this Gatlinburg location that include four days and three nights, or three days and two nights in a studio villa and two tickets to Wild Bear Falls Indoor/Outdoor Water Park. There are a limited number of these packages on sale at one time, so call ahead or book online. Westgate is pet-friendly and close to Dollywood and downtown Gatlinburg. On-site amenities include heated pools and hot tubs, a playground, fenced-in dog run, and trolley service to downtown and Pigeon Forge. Westgate also offers fishing trips, water sports, and fun scavenger hunts. Build your own vacation package from a buffet of hole, Paroptions. First choose your cabin size, and then pick a package to go with it. Packages include tickets to Dollywood and the Dolly Parton’s Stampede dinner show, a family package that includes two days at Dollywood, tickets to Dolly Parton’s Stampede, the NASCAR SpeedPark and Ripley&apos;s Museum Combo Tickets that include entry to the aquarium, Ripley&apos;s Believe It or Not Museum, Ripley&apos;s Haunted Adventure, Guinness World Records Museum, Davy Crocket Golf, Old MacDonald Golf, the exciting 5D Moving Theater and the always-fun Mirror Maze. Choose their Romance Package and you&apos;ll get an actual Bed of Roses, candlelight dinner for two, a mountain picnic, tickets to local attractions and a gift basket of romantic treats. You can also choose their decadent spa package that includes in-cabin spa treatments. A 300-acre resort in Sevierville, Little Valley is just 10 minutes from Pigeon Forge. This hidden gem welcomes guests with a three-season heated pool, 18-hole mini golf and a Par 3 golf course. They also have stocked fishing ponds with no license required. There is also a lovely little wedding chapel on the property, making this the perfect place to host an intimate celebration. Wheelchair-accessible cabins mean everyone can take part in the special day. Their custom-built cabins are well appointed and pet-friendly. If hitting the links is your idea of fun, Deer Ridge is near Gatlinburg and offers a golfer&apos;s dream package. Bent Creek Golf Course is an 18-hole, Par 72, Gary Player course. The package includes three nights in a deluxe two-bedroom, two-bath condo, four rounds of golf, a golf cart for your entire stay and lunch at the Bent Creek Grill. Online retailers, including Expedia, Hotels.com and Travelocity, offer combo deals to both small inns and larger luxury hotels in the area. For example, for one price you can get discounted flights and a room or suite at a hotel. If you choose a hotel on the trolley route with an on-property restaurant, you&apos;ll have planned your vacation with just one click. 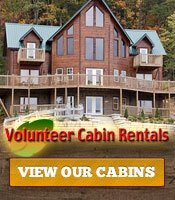 Smoky Mountain Vacation Info also has some special deals available. See the current vacation packages and book on our site. Getting married? Gatlinburg Honeymoon Packages include a luxury cabin rental, a personalized afghan, a treat basket, gourmet meals, flowers, and spa treatments. 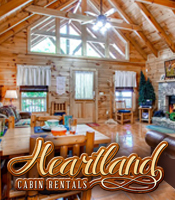 Cabins are loaded up with hot tubs, satellite TVs, screened porches, plush furniture and free wi-fi. 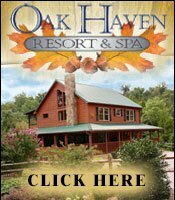 Booking a package at one of the area&apos;s many resorts is a great way to save money on a fun Smoky Mountains vacation that combines luxurious accommodations with your favorite activities.